Book cheaper car rental at Kosice Airport - Compare reduced rental rates on Kosice MPV, SUV & 7 seat minibus hire. Car Hire in Kosice & Airport. Book cheaper car hire Kosice Airport today. Get discounted price with companies like Europcar, with CDW, mileage and breakdown recovery included. Kosice Airport is is the second largest airport in Slovakia, and is about a two hour drive east of Bratislava, which is the capital city of Slovakia. 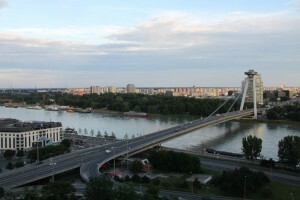 Slovakia has a well maintained road system, from motorways, urban, and suburban roads, all are paved, though after a severe winter, the suburban roads tend to get a few potholes. 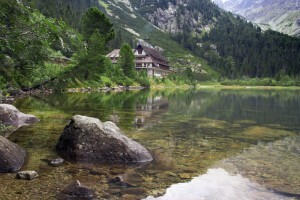 Depending on the time of year that you visit, you will find many unique attractions in Slovakia, from skiing and snow sports on some of the highest mountain ranges in Eastern Europe. Hike the thousands of miles of tourist tracks, but not all in one go. Visit the many fairs and festivals, taking in the many museums and castles. Cheaper vehicle vacation rental in Kosice. Book discounted Kosice people carrier hire. Reduced holiday auto hiring rates at Kosice Airport. So you have selected the vehicle of your choice, then all you need when you arrive in Slovakia, is a current driving licence, issued in your country of residence, and a credit card as a security deposit, then it's off you go, for a great holiday. We are proud to offer some of the best deals for Kosice Airport and many other popular destinations in Slovakia. Book your vehicle today with free amendments and no cancellation charges (until few days before collection), so book and relax.